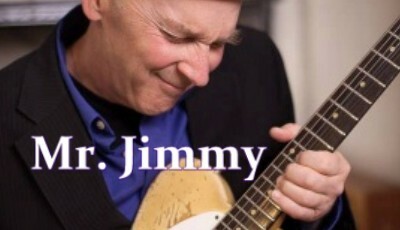 "NC Songsmiths - "Mr. Jimmy""
Mr. Jimmy founded his band The Chicago Kingsnakes in 1983, recording four albums and performing thousands of shows over the years. James continues to perform both solo and with the band and averages over 100 dates a year. In 2016, he became a radio host of the NPR show “Confessin' the Blues".